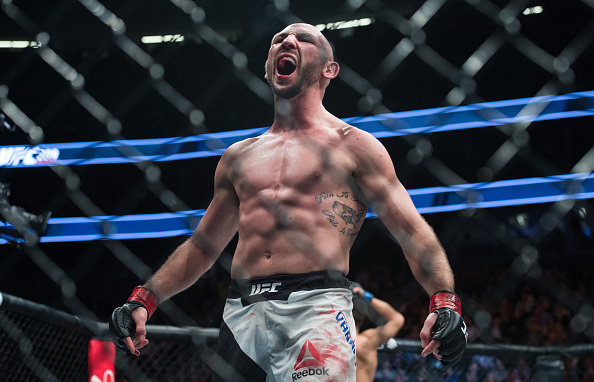 There are a couple bald men down in Albuquerque, and if Lando Vannata keeps thrilling fans the way he has in his previous four UFC bouts, Brandon Gibson may be the next to go. 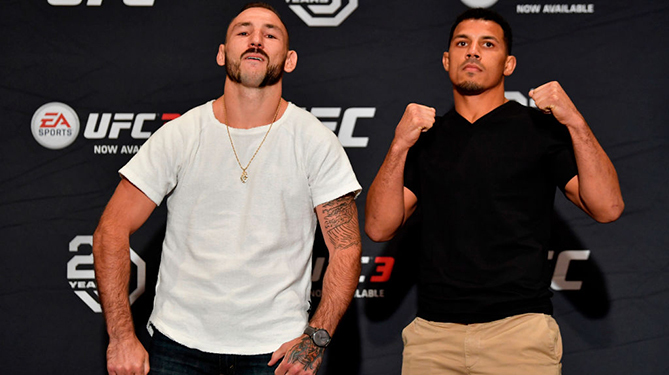 If “Groovy Lando” has his way, the renowned striking coach may start leaving his comb at home, because the lightweight prospect has become used to being the Octagon’s latest bonus king. He laughs, happy with the reality that he is part of an exclusive club of fighters (with Thomas Almeida and Tyson Griffin) that are the only ones to start their UFC careers with four consecutive bonuses. Not bad for a guy who admits to being “somewhere in Albuquerque, drinking beers and eating pizza,” just a couple days before a late-notice call to face Tony Ferguson in July 2016. “Naturally, I’m a little bit of a risk taker,” said Vannata in the biggest understatement in recent memory. Vannata lost that first Octagon bout to Ferguson, but not before nearly stopping the future interim lightweight champion and picking up a Fight of the Night bonus. He got the same check in two of his next three bouts against David Teymur and Bobby Green, which followed a Performance of the Night knockout of John Makdessi. But the thing is, none of this has been by design. That’s the good part for us watching. On the other side, the 26-year-old has left those four fights with a 1-2-1 UFC record. And while he admits to some tweaking going on in the Jackson-Wink MMA gym in ABQ, saying that, “We’re working on being a little bit more reserved in our actions during fights, and that’s something that comes with time and experience,” he’s not losing sleep at night thinking about wins and losses.